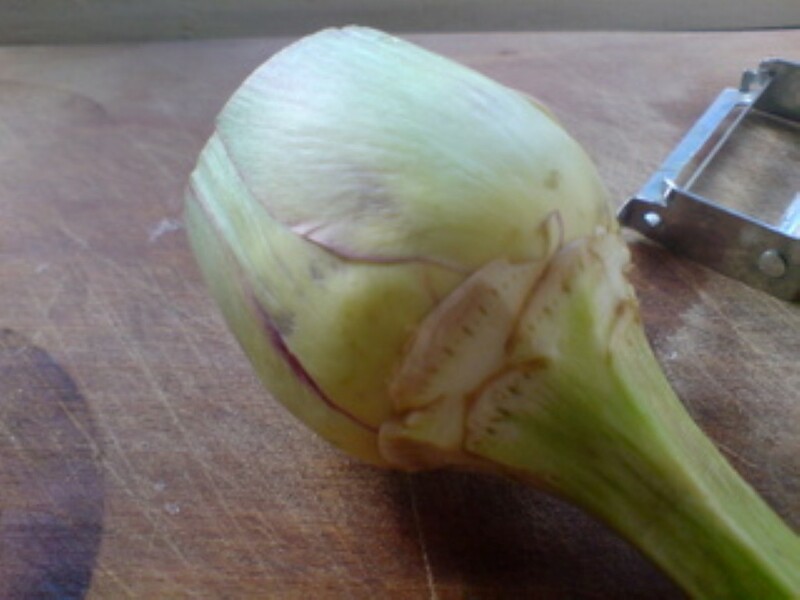 It takes a little time to prepare artichokes in the Italian way, but it’s worth it in the end. 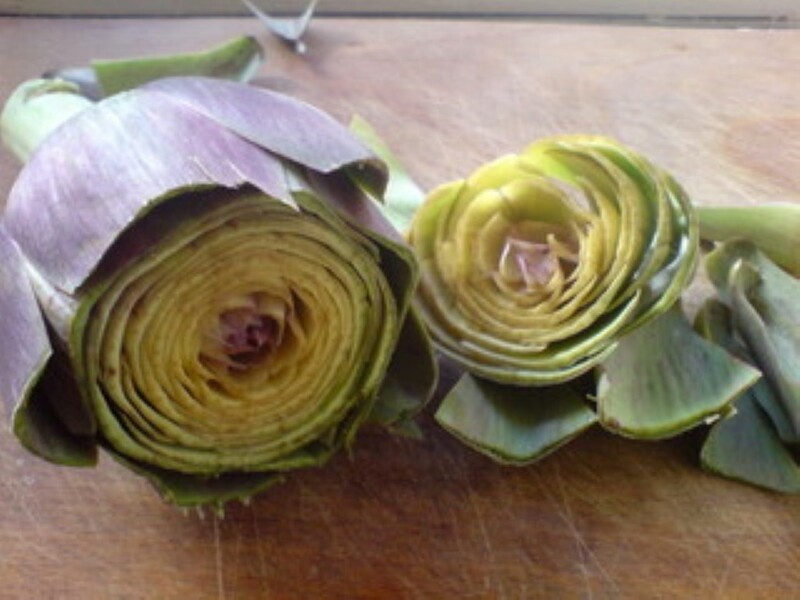 Cut off about the top third of the artichoke using a serrated knife(cut just above the thickest point). 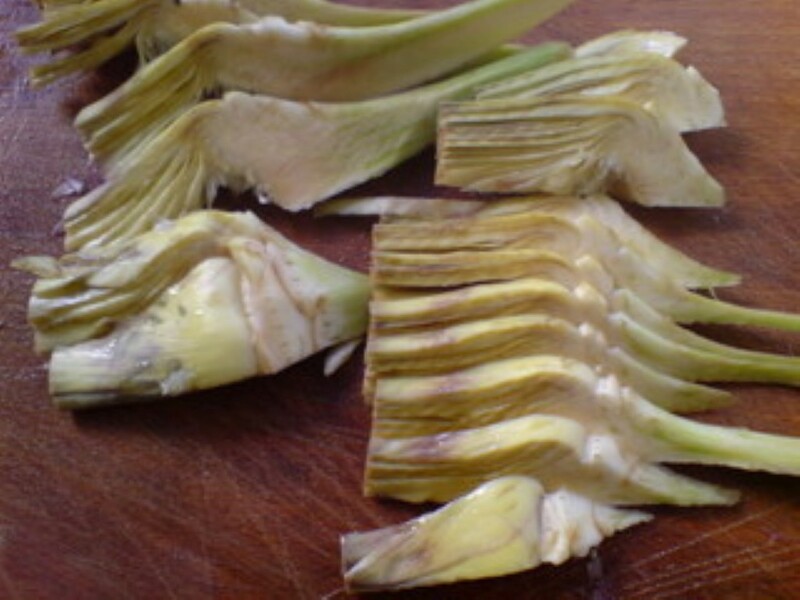 Pull off the tough outer leaves and pare down the stalk using a sharp knife or a vegetable peeler. 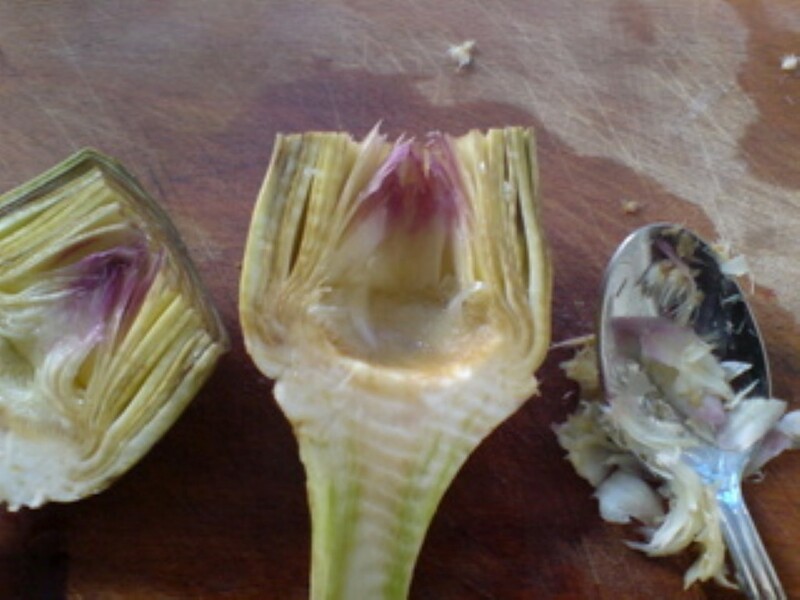 Cut in half and remove the ‘choke’ with a teaspoon. 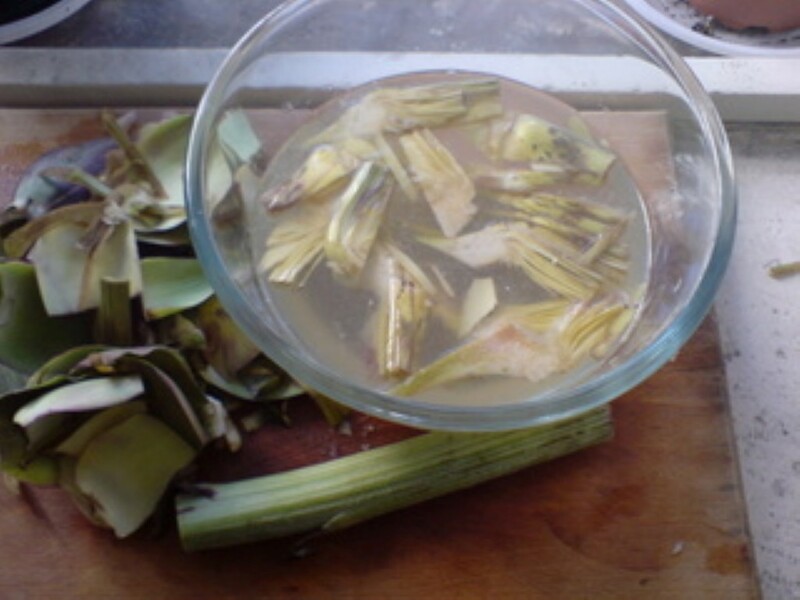 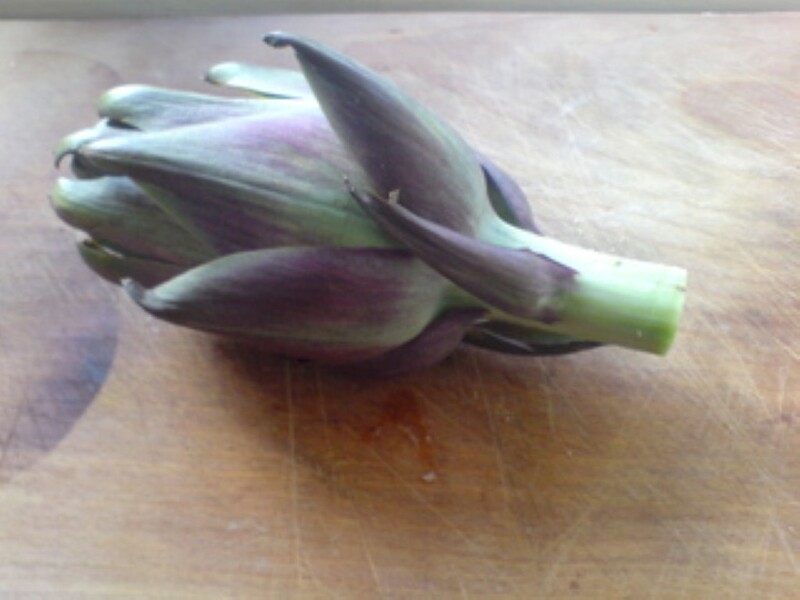 Most recipes call for the artichoke to be either quartered or sliced.